The best lemon blueberry bundt cake could not be more perfect! This is my first bundt cake and is now my favorite bundt cake recipe ever! I can not take credit for this fabulous recipe though. I found myself scouring the internet one afternoon, hunting for the perfect recipe for my first ever bundt cake. 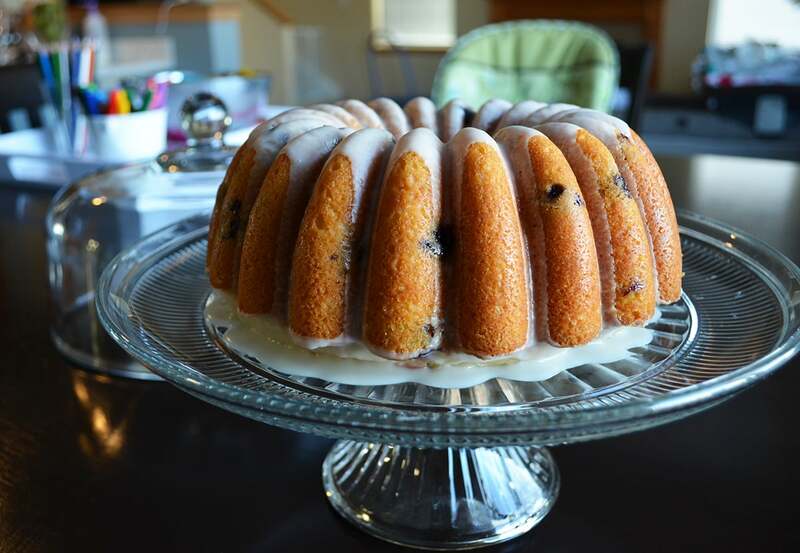 Then at last, on Food.com I came across the best lemon blueberry bundt cake recipe. Finding a really good recipe was important to me for two reasons… One, I am obsessed with good food and two, I was making this bundt cake for the wonderful ladies coming over to help assemble the care packages for Project Mindful Mama. I wanted to make something homemade and delectable to thank them for all their hard work. Everyone loved this bundt cake and requested the recipe. I made them wait till now because I wanted to make the cake one more time to achieve perfection.